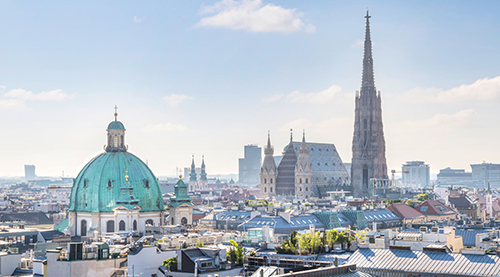 Together with the Global Arbitration Review, we have the pleasure to invite you to the inaugural GAR Live Vienna conference that will be taking place on Friday, 20 October at the Austrian Federal Economic Chamber, Wiedner Hauptstraße 63, 1045 Vienna. This one day event will be chaired by Dr. Stefan Riegler, Baker McKenzie and Austrian Arbitration Association Arb|Aut, Eliane Fischer, Freshfields Bruckhaus Deringer and Young Austrian Arbitration Practitioners (YAAP) and Dr. Alice Fremuth-Wolf, Deputy Secretary General, Vienna International Arbitral Centre (VIAC). We would love to welcome you to the event; tickets are available for €500 here. Once you have an award, what next? There's a difference between having your award recognised and accessing actual assets. In this session, a series of enforcement specialists will explore both the legal and practical aspects of translating recognised awards into real money. Our espresso version of Tylney Hall. Delegates will submit questions in advance on topical themes and will then be invited to present their question on the day, whereupon the moderators and members of the audience are invited to respond. In Oxford Union style, we will hear teams of debaters argue in favour of, or against, a motion. A panel of 3 judges will then voice opinions on what has been heard, before choosing which side to support and giving reasons for their decisions. Motion: "This house believes that no party-appointed arbitrator is ever impartial"
All delegates will then be invited to attend a drinks reception kindly hosted by VIAC. We hope you will be able to join us for what promises to be a day of lively debate, unparalleled insight and networking.